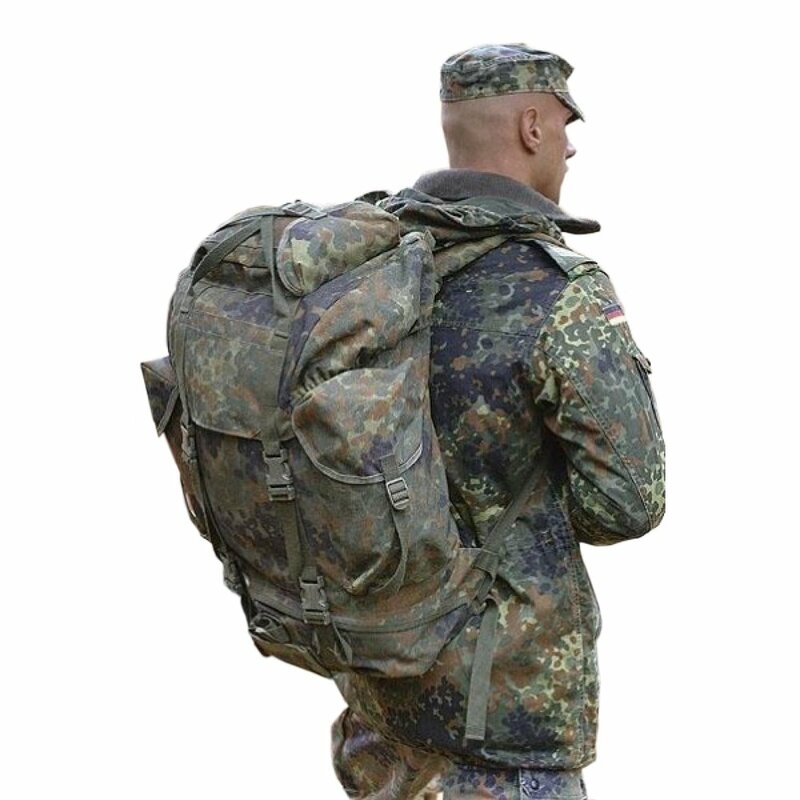 Awesome German Flecktarn Backpack. Great quality, made of nylon exterior with rubberized material lining the inside of the pockets. Padded straps, padded lower back. 2 outside pockets, lower compartment and upper outside compartment for holding lots of gear, sleeping bag etc. Main compartment: Height; 1' 3". Depth; about 8". Width: 1'. Top compartment: Length: 9". Depth: 2". Width: 5". Side pockets: Height: 9". Depth: 2". Width: 5". Bottom Compartment: Height: 6". Depth: 5". Width: 1'.